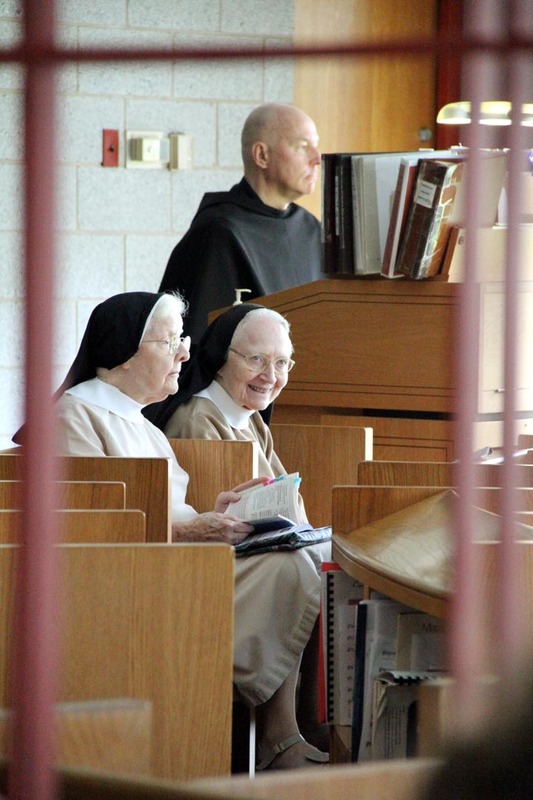 Sr. M. Constance and Sr. M. Alfred wait happily before mass as Fr. Chris Dobson TOR plays the organ. 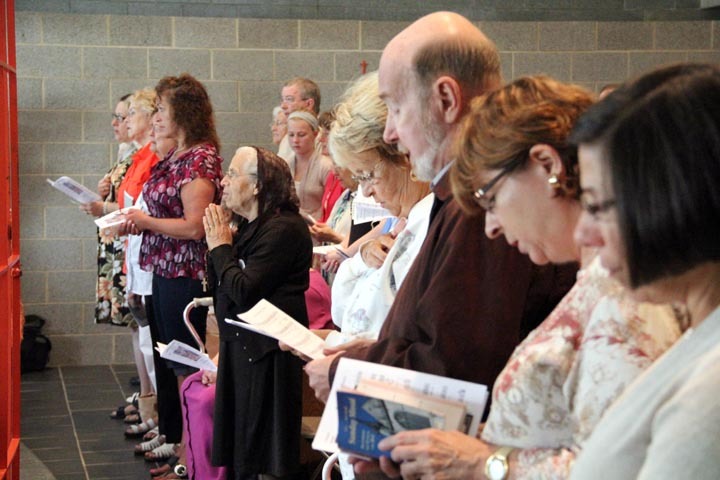 Sr. Francis and Sr. Isabel process in at the beginning of mass. 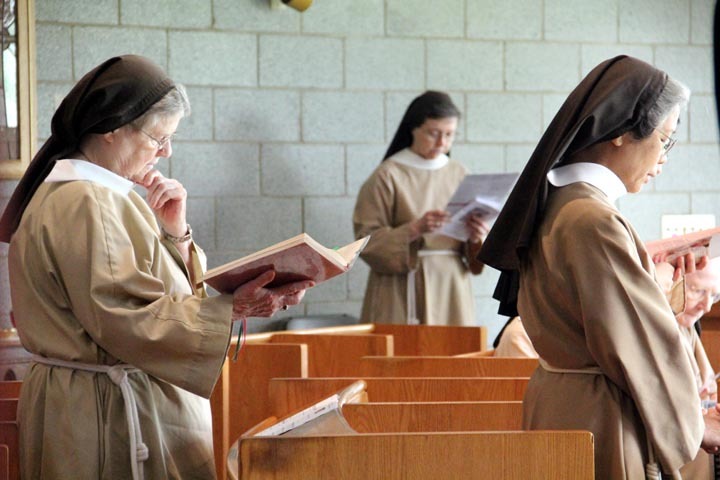 Sr. Carolina, Sr. Maria Eden,and Sr. Joan Marie processes in for mass. 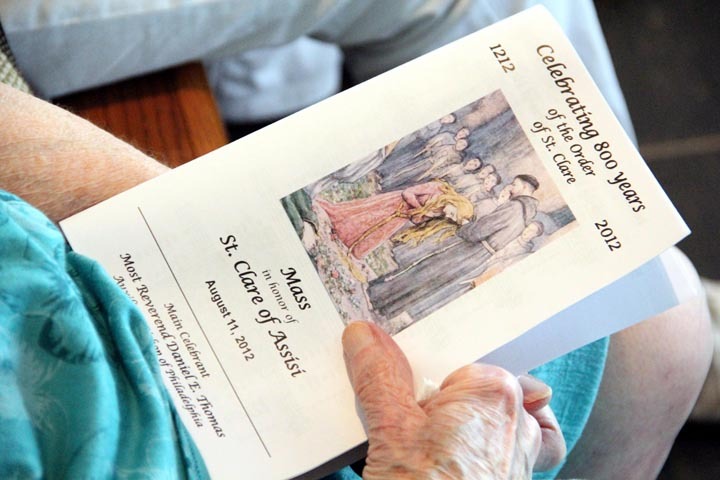 Bishop Daniel E. Thomas was the main celebrant at the Mass marking the 800th anniversary of the founding of the Poor Clare Sisters. 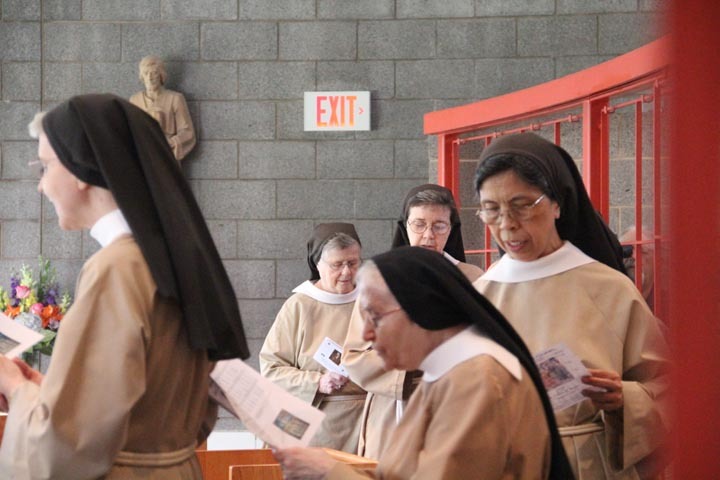 It was a full chapel at the mass to celebrate the sisters. 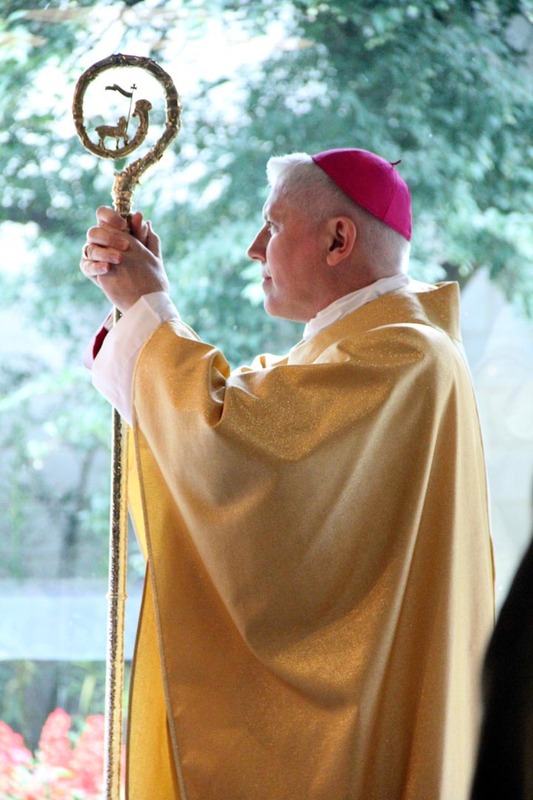 Bishop Daniel was the main celebrant for the anniversary mass. 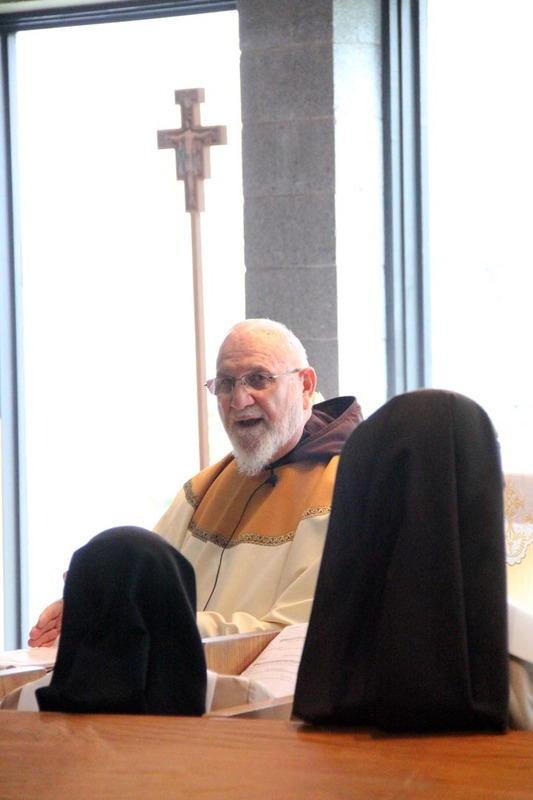 Mario Mastrangelo O.F.M. Cap. 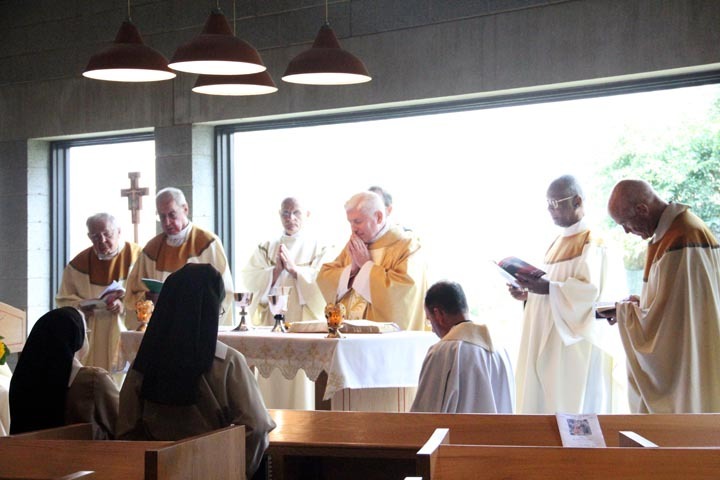 gave a heartfelt homily. 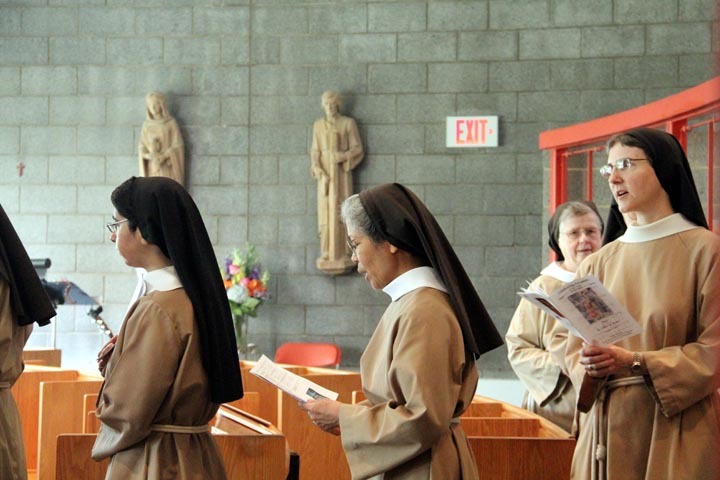 Sr. Joan Marie, Sr. Patricia Anne, and Sr. Maria Eden pray during mass. 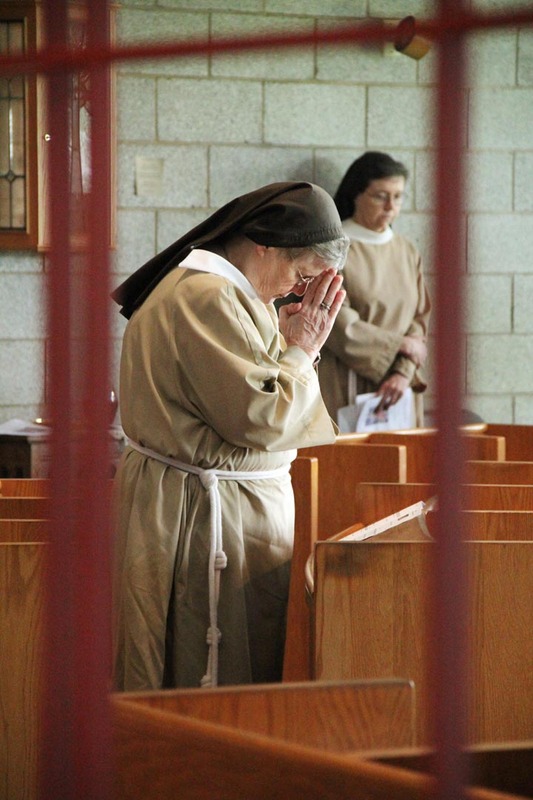 Sr. Joan Marie and Sr. Patricia Anne pray during mass. 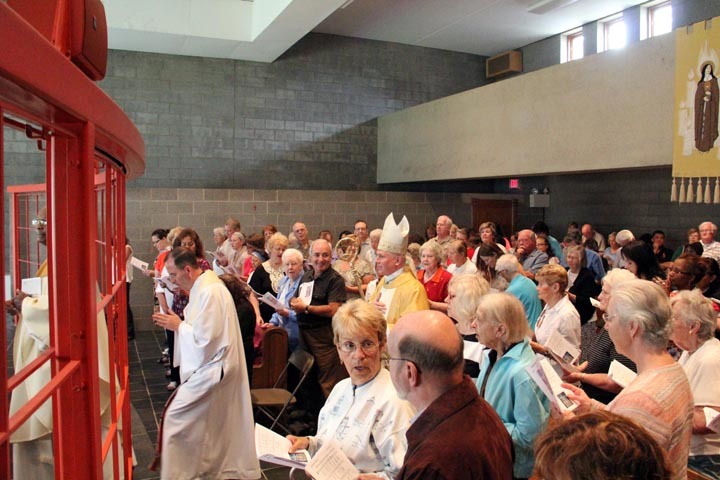 The sister’s pews are before the altar and a gate separates their area from the pews for guests. 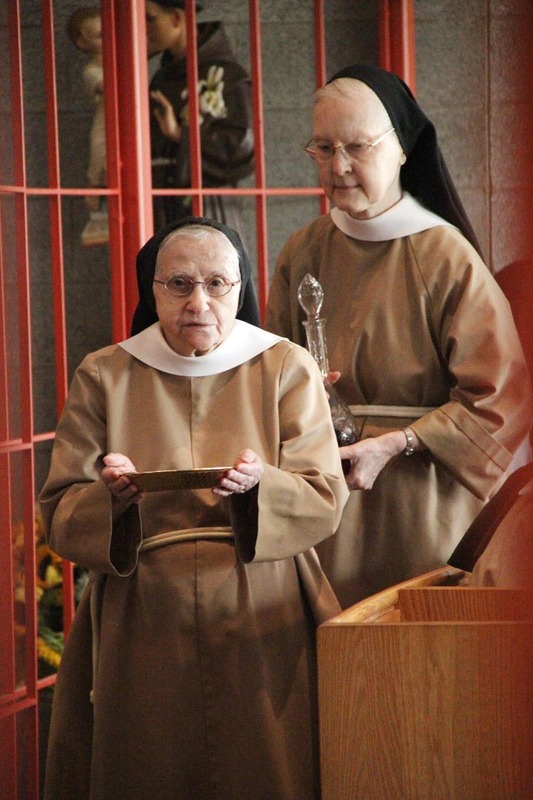 Sr. M. Francis and Sr. Evelyn carry up the gifts. 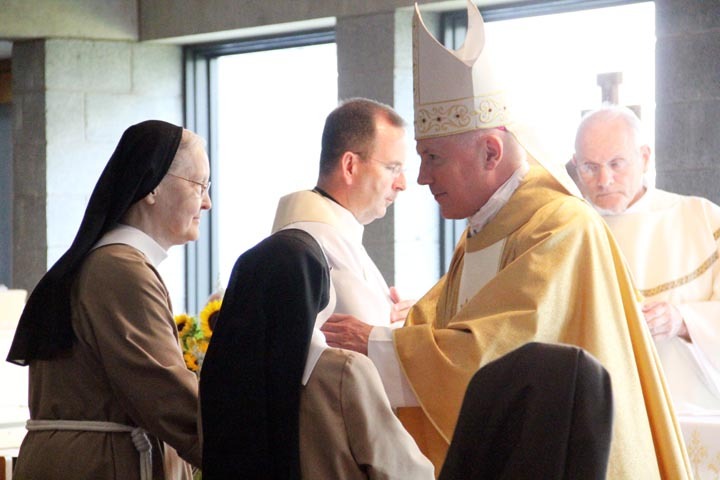 Sr. Evelyn and Sr. M. Francis present the gifts to Bishop Daniel Thomas. 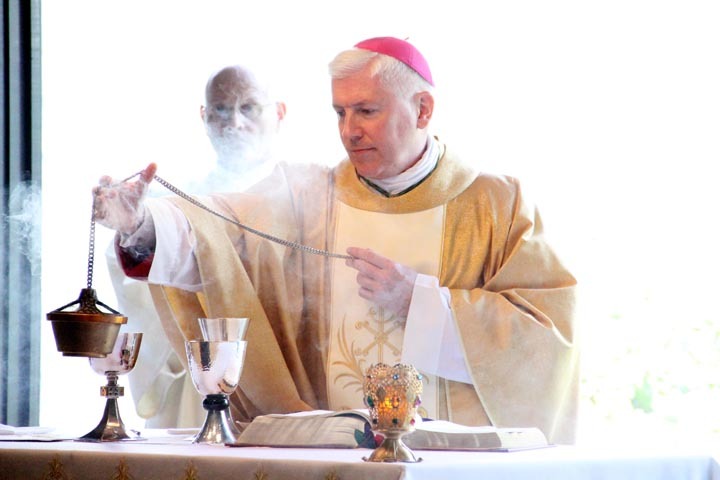 Bishop Daniel Thomas incenses the altar. 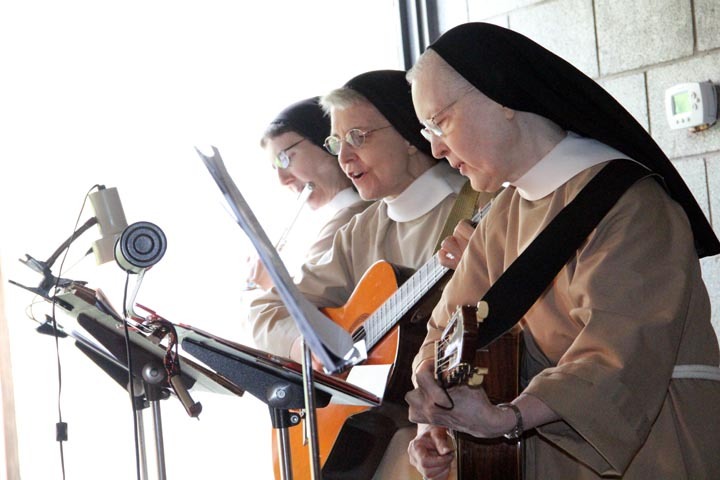 Sr. Anne (flute), Sr. Jean Therese, and Sr. Evelyn provide beautiful music during mass. 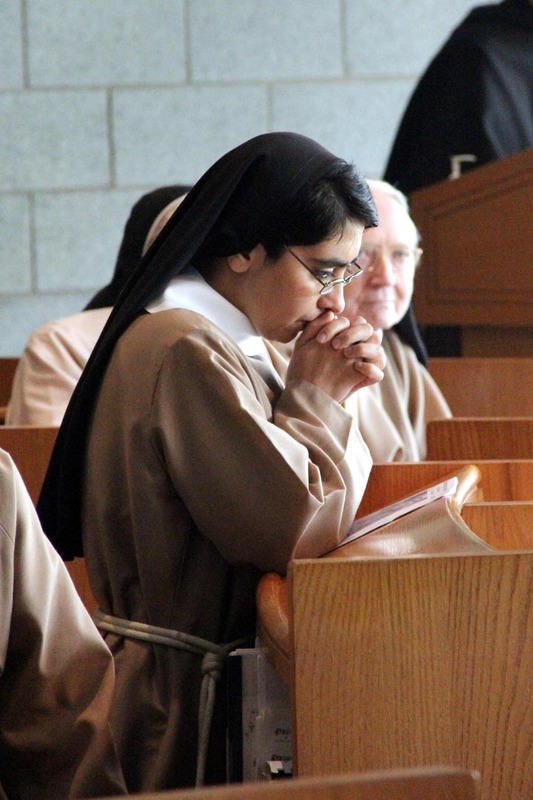 Sr. Carolina takes a moment to pray after mass.